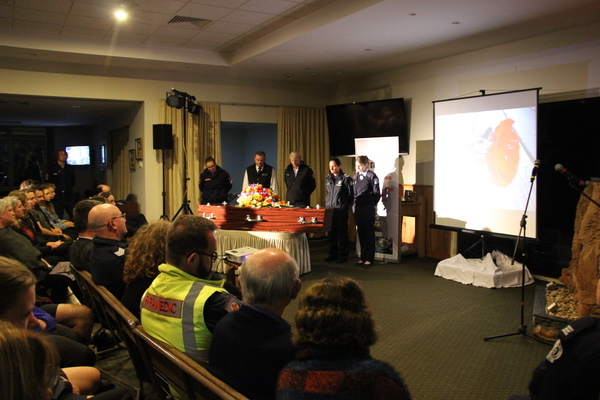 Representatives of Ambuance Victoria, Heritage Funerals, SES, Police and CFA pay a silent tribute to young lives lose. 183743_01. Pictures: Kath Gannaway.